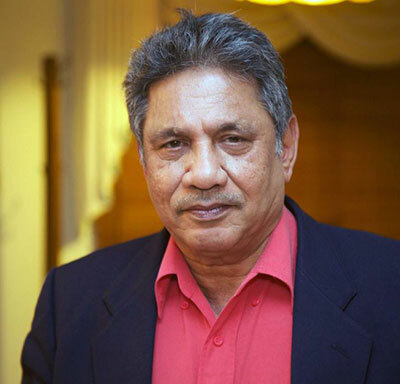 President of the Sri Lanka Board of Control for cricket 1995-6 and involved in cricket administration in Sri Lanka since 1993. I got to know Peter on his visits to Sri Lanka for the cricket matches after I got involved in cricket administration in 1993. I was President of the Board of Control for Cricket in Sri Lanka from 1995 to 1996 and am also active in Sri Lankan golf. 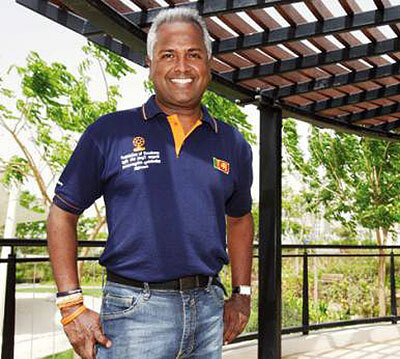 Peter was a true friend of Sri Lanka cricket. He always praised the style of cricket we played. His articles on Sri Lanka cricket motivated the cricketers and administrators in the lead up to our World Cup victory in 1996 and beyond. Peter also backed Sri Lanka during the times that we were in some trouble with the cricket establishment. Especially, in 1995 during our tour to Australia. The ball tampering incident and Murali being called for chucking. Eventually we were exonerated on both the charges by ICC. Peter’s articles went a long way to convince the ICC and the cricket loving public the world over that both the charges were incorrect. That debt to him will always remain. Whenever Peter was in Sri Lanka, covering a Test series, we and others from the world of cricket would meet for dinner at the Colombo Swimming, which is an old colonial club over 100 years old by the sea. We would talk for hours about cricket, on which he had a vast knowledge and those of us there also laughed a lot. Those evenings with Peter, talking about cricket and the game we all loved will always remain in our memories. Peter will never be forgotten by Sri Lankan cricket. It is an honour to write the first Sri Lankan memory, but there will be many more. He wrote about cricket in a way that inspired a generation and he will always be remembered. Founder and Chief Trustee of the Foundation of Goodness, who worked with Peter on humanitarian causes and shared with him a passion for helping the disadvantaged and those in need of help. Peter Roebuck’s communication skills on cricket were outstandingly unique and carved a niche of his own which I personally admired for quite a long time. More importantly since meeting him, our topic of discussion shifted significantly towards the humanitarian work we had undertaken via the Foundation of Goodness. He was someone who was very keen to elevate the standards of disadvantaged rural communities and we shared a common interest and a heartfelt attitude towards humane deeds that we wanted to address which I’m anyway very passionate about. I used to meet him whenever he visited Sri Lanka and I recall our interaction to be hugely fruitful covering both areas of cricket and humanity close to our hearts and minds. It was so sad to hear of his untimely demise and may the memories I shared with him stay with me as long as I live. His cricket and the ability to write on the game he cherished the most was unforgettable. I was Treasurer of the Sri Lanka Cricket Board during the early 90s. I was fortunate to meet Peter during this time when he visited Sri Lanka to cover cricket. Peter had an innovative mind and a unique grasp of the ever evolving nuances of modern day cricket. Even though he finished his active cricket before big money came into the game, Peter understood the changes that took place and how it affected the players and the game. I contacted Peter once I started my newspaper, The Sunday Leader to write a regular column, to which he readily agreed. Peter was not looking for payment but wished only an airline ticket to Sri Lanka whenever there was cricket here. It was a deal that was heavily weighted in my favour. His column eventually became extremely popular and there were many readers who subscribed purely to read the Peter Roebuck column. The newspaper, my late brother Lasantha and I started, came under attack and Peter would regularly call me to inquire how we were doing from wherever in the world he was at the time. It does seem totally out of character to hear the alleged circumstances of his death. Even though he is gone, Peter’s style of writing has inspired many a journalist around the globe. In that sense, his legacy remains and he lives on.